Sofitel’s Vietura introduces pampering beauty staycation packages until December 29, 2014. Look your best this summer with Vietura’s Summer Perfection Package, which includes an overnight stay in a superior room, De-Light breakfast for two at Spiral, 30-minute Slimming Massage at Le Spa, nutritional counseling, two sessions of Lipocryo and Ultraskin Tight at Vietura, and exclusive access to SoFit, Sofitel’s state-of-the-art fitness facility. Ultimate body slimming and contouring program involves scientifically-proven fat removal technology that freezes fat cells and progressively eliminates them for instant results. The effects continue to metabolize for 60 days resulting in further breakdown of fats, making the body slimmer, shapelier and more sculpted. Rate is set at Php 22,000 nett; valued at Php 60,265 nett. To book these offers, please email at info@vietura.com. Visit the official website at http://www.vietura.com for info. 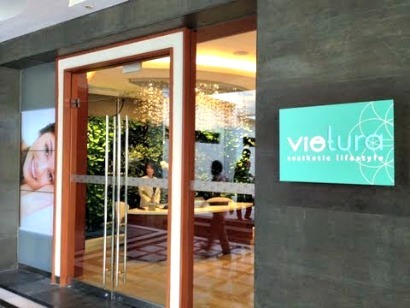 Located at the Sofitel Philippine Plaza Manila, Vietura Aesthetic Lifestyle is a haven for those who seek beauty and wellness through non-invasive treatments and lifestyle coaching. Vietura is the first and only non-invasive aesthetic institute in the Philippines based in a luxury hotel. Sofitel Philippine Plaza Manila Hotel is a contemporary 5 star luxury hotel located in Manila, Philippines. Sofitel’s luxury accommodations include 609 rooms and suites that boast of balconies and stunning views of world famous sunsets at Manila Bay.